Today I've taken aim at background effects. My reference is a photo of a canna lily taken at the Smith College greenhouses in 2010. 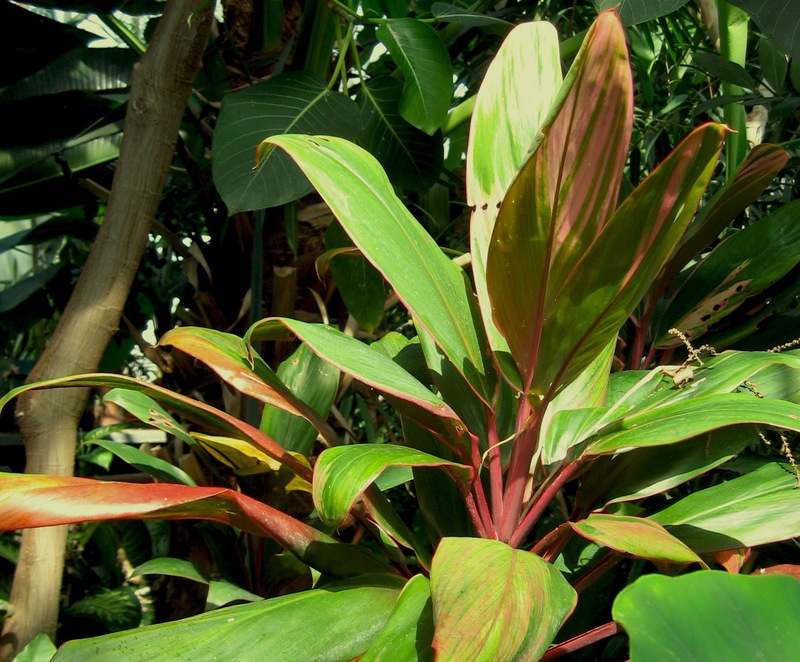 Cannas have a beautiful mix of green leaves tinged with pink and red, and combined with a variegated dark background, this photo offers a bit of a challenge. 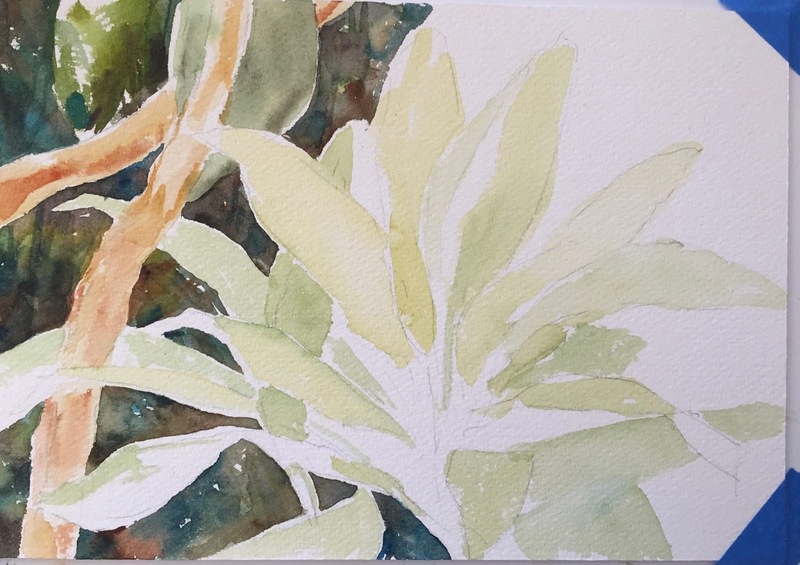 Beginning with a light outline sketch of the foliage and two vine-like branches on the left, I painted the leaves with thin washes of Green Gold and Permanent Sap Green, then blocked in two branches on the left, blending Yellow Ochre with Burnt Sienna. Once this first layer of color was dry, I worked from left to right, adding background color by mingling rich mixtures of Green Gold, Winsor Blue (GS), Burnt Umber, Sepia, and Burnt Sienna. I'm using a Robert Simmons brand #785 White Sable Round brush, Size 8. 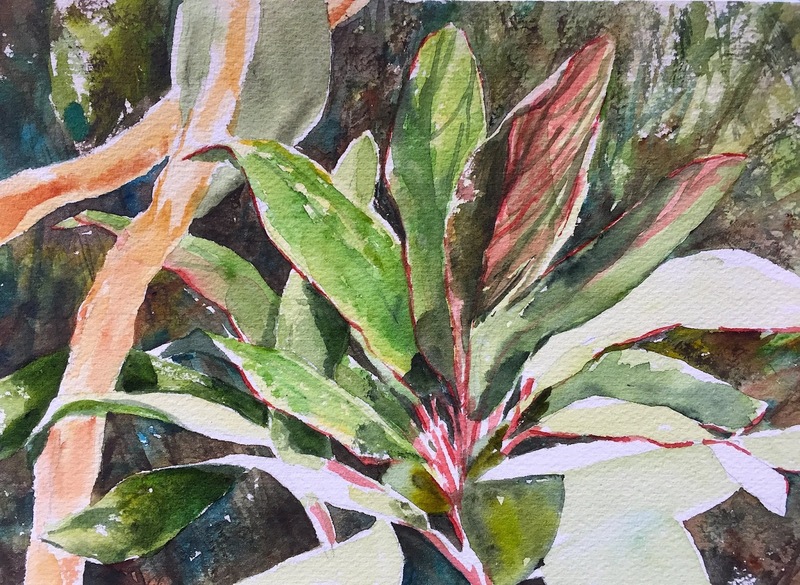 It's a great brush –– not only is it affordable but it holds an edge/point nicely, carries a full load of pigment, and when a loaded brush is dragged sideways across dry paper it makes a nice "scumbly" mark which is helpful when adding a suggestion of background foliage, etc. 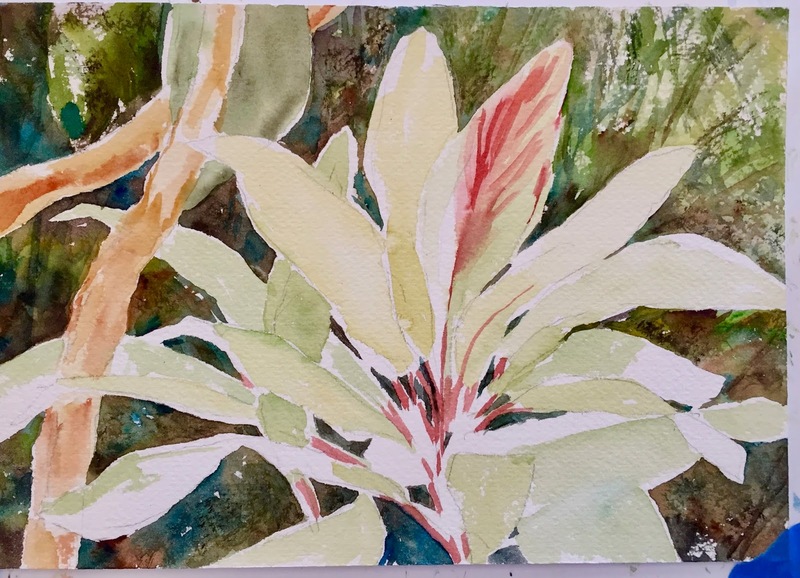 In the mid-portion of the painting and moving to the right, I'm starting to suggest sunlight filtering through dense background foliage. To achieve this I used a lighter wash of green, allowed it to dry, then added darker brushstrokes on top (in some places using the "scumbly" technique). I continued to enhance depth, and add more color, leaf by leaf, leaving lighter areas for highlights and deepening the shadows to indicate layers of plant foliage. 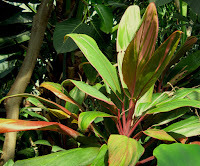 I applied thin lines of Anthraquinoid Red (in a thick mixture with very little water) to the edges of the leaves and to the stems. 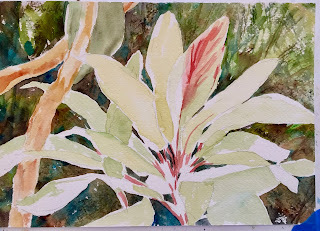 Where the tips of leaves curved under, and where the leaves drooped, I used a combination of Shadow Green (Holbein brand) and Daniel Smith's Undersea Green. 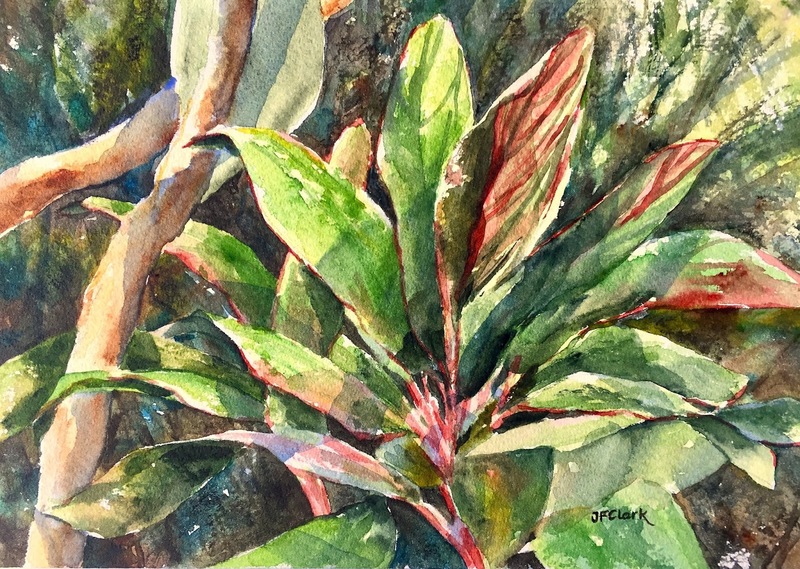 The two vine-like branches at left were further defined with Burnt Umber. And then I used washes of French Ultramarine in varying intensity to indicate cast shadows throughout. 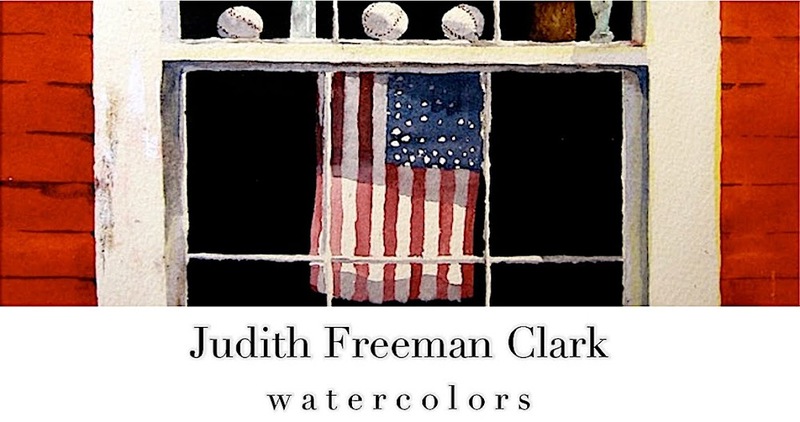 transparent watercolor 10.5" x 7.5"